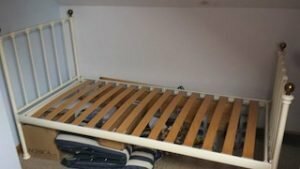 I live in the US, and need to achieve a house clearance in Gateshead. 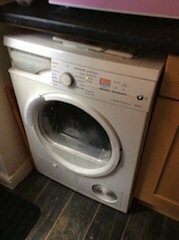 Clearance includes new washing machine and older fridge, cupboard and drawers in loft. Things to stay include cooker, curtains, poles, shades, carpets, contents of garden, contents of garage. Once we agree a price, keys are with estate agents. Please use email to reply. A grey and purple Vax upright vacuum cleaner. 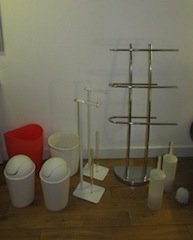 A large collection of bathroom accessories, to include a chrome towel rail, two matching towel rails, two toilet plungers and four bins. 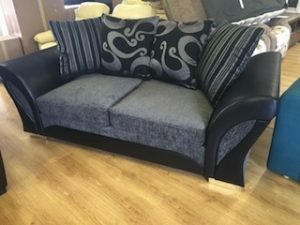 A two seater low back sofa on square chrome feet, upholstered in grey velour and black faux leather, with various cushions. 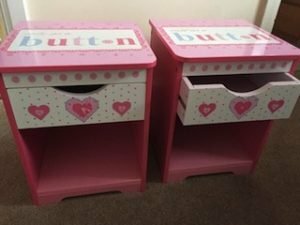 A pair of pink painted wood bedside units, each having one drawer above shelving space. 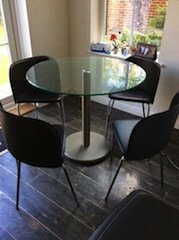 A circular chrome and glass dining table, together with four faux leather chairs. 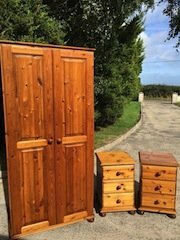 A three piece solid pine bedroom furniture suite, to include a double wardrobe and a pair of bedside drawers. 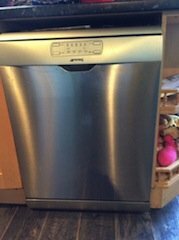 A stainless steel Smeg, under counter dishwasher. 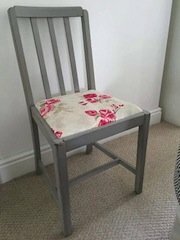 A hand painted grey, solid wood hall chair, upholstered to the seat in rose patterned fabric. 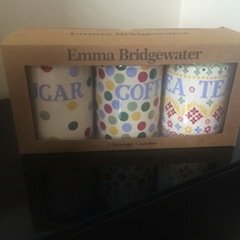 A brand new boxed set of Emma Bridge water, tea, coffee and sugar canisters. 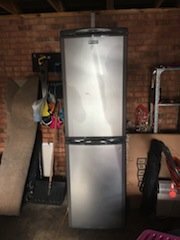 A tall standing silver and space grey, Hotpoint two door fridge freezer. A large solid pine chest of drawers, having two small over two large drawers, with brass handles. 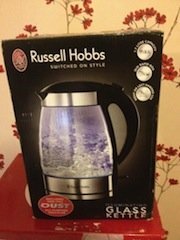 A brand new boxed, Russell Hobbs illuminating glass kettle. 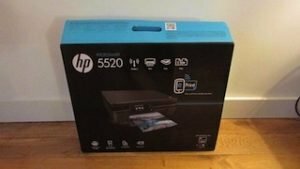 A brand new boxed, HP Photosmart 5520 all in one printer. A cream cast iron single bed frame, with brass knobs to each corner. A white Siemens condenser tumble dryer. 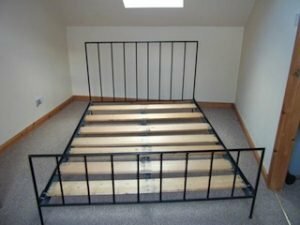 A black metal king size bed frame.